One of our goals in the development of ADINA is to provide our users with interfaces to various pre- and post-processing packages. In the News of September 30, 2010, we announced the release of our direct Femap interface to ADINA. 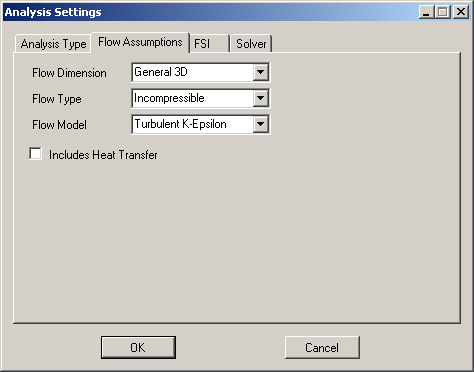 This interface is fully integrated into the Femap environment and communicates with Femap through its Application Programming Interface (API). For pre-processing, it is activated inside a Femap session and provides direct access to many ADINA capabilities. For post-processing, it can convert the ADINA results to a Femap neutral file format that can be imported into Femap directly. 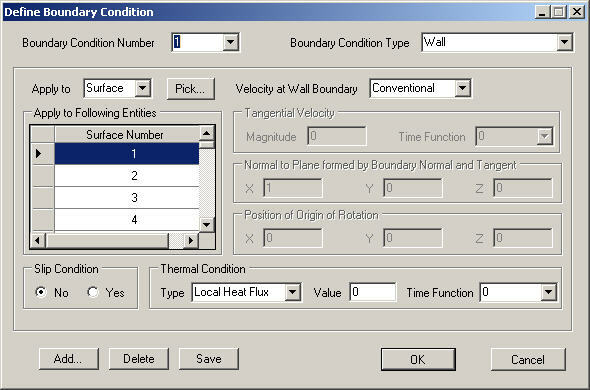 Below, we demonstrate an example of an ADINA CFD analysis using the Femap interface. 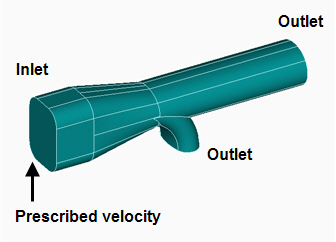 A 3D turbulent flow around an intersection of two pipes is to be calculated, see Figure 1. 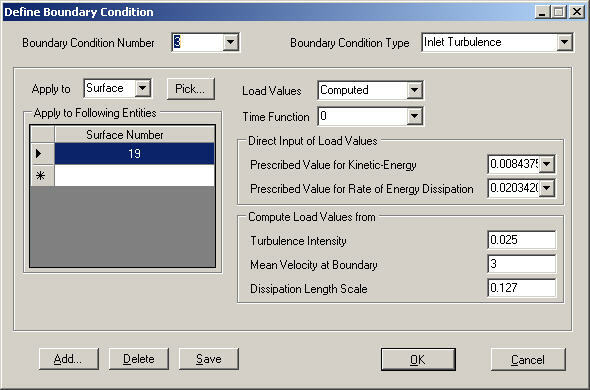 In our numerical model, we use the k-ε turbulence model with FCBI-C elements. 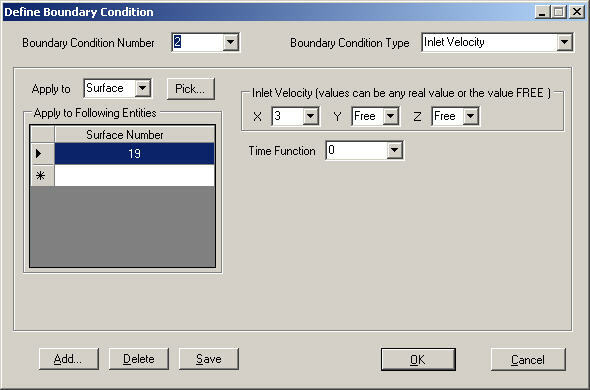 In addition to the prescribed velocity boundary conditions, turbulence boundary conditions are also applied at the inlet. 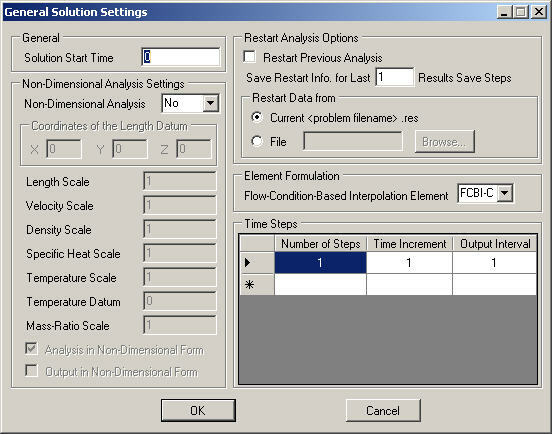 The following is a step-by-step description of the analysis, using the direct Femap interface to ADINA. for this reason we give the details below. 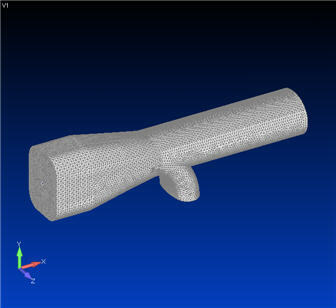 The finite element mesh generated and obtained from Femap is shown below. 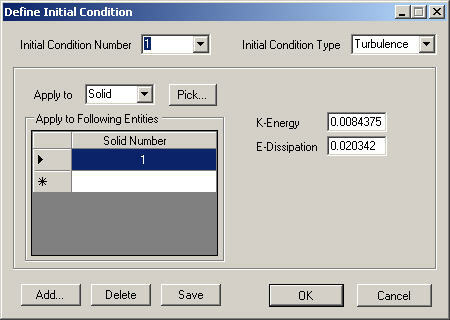 For the Element Formulation, set the Flow-Condition-Based Interpolation Element to 'FCBI-C'. 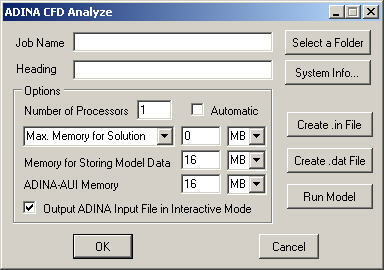 Enter the Job Name and Heading (if desired) in the ADINA CFD Analyze window, select options as shown, and thus run ADINA CFD to solve the model. 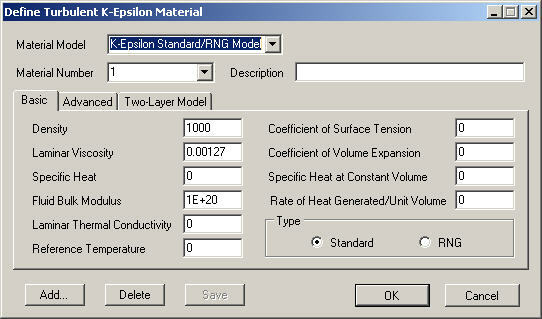 Enter the Femap Neutral File name to load the results for post-processing. 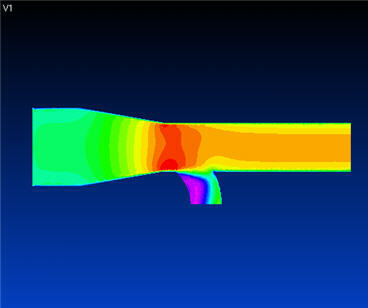 Figures 2 and 3 show the results obtained from this analysis, visualized in the Femap interface. 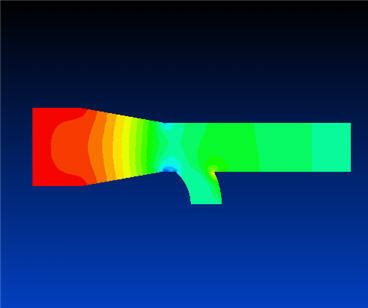 The entire analysis, from pre-processing to post-processing, was performed within the Femap environment using the direct Femap interface to ADINA. This allows users already familiar with Femap to adapt easily to analyses using ADINA, and thus significantly increases the number of available analysis options within Femap, including FSI.